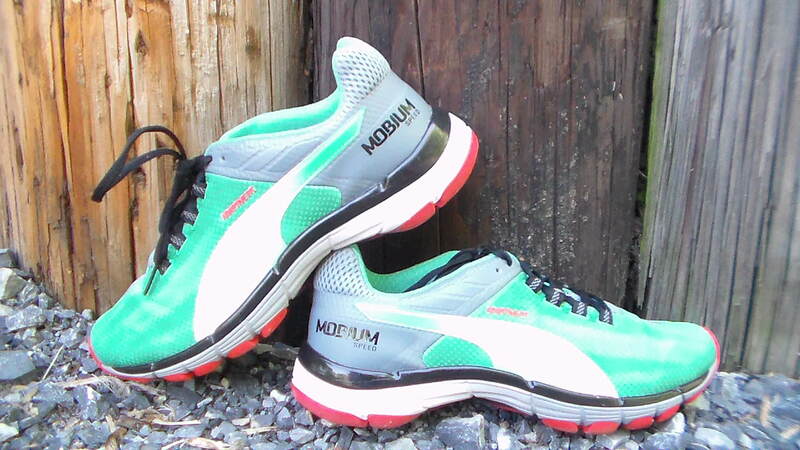 The Mobium Elite SPEED delivers on its promise of being fast. It is a lightweight performance shoe that allows your foot to move naturally, and provides adequate cushioning for runs of half marathon distance and below. The mobium elite speed will be the third version of the mobium elite series from Puma. 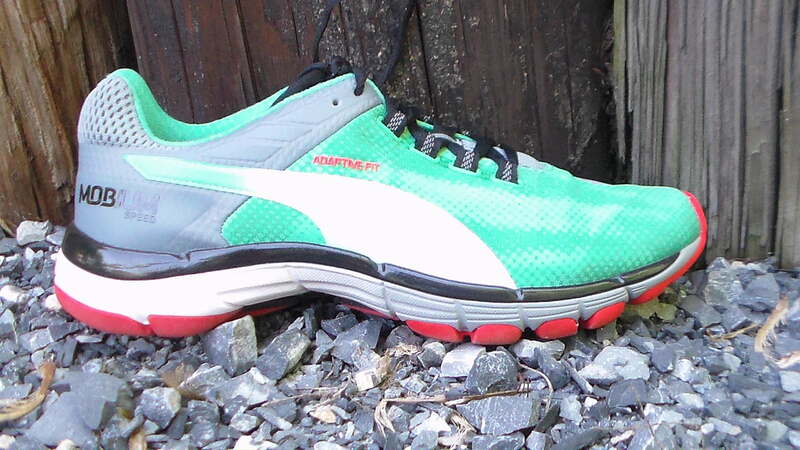 Just as the other shoes in the Mobium line, this shoe incorporates what Puma calls adaptive fit technology. With adaptive fit, Puma aims to provide a shoe that adapts to your foot as it changes position and to minimize the effect the shoe has on your natural running gait. 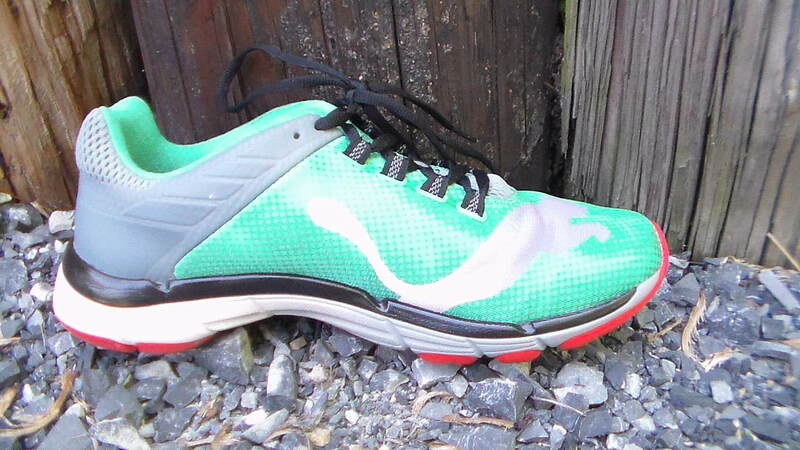 This shoe has a streamlined profile and looks fast. The first thing I noticed when putting them on was a slight arch bump. This is something I am normally not a fan of, but in this shoe it causes no irritation. The second thing I noticed is comfort. These shoes are well above average in the comfort department. They fit the foot very well. The upper of this shoes fits your foot like a glove. It is a seamless upper. The shoe is nice and plush in the heal, and holds the heal in place well. Moving towards the front of the shoe, it supports the foot nicely through the mid foot, and opens up a bit wider in the toe box. This is a thin shoe, but it fit my average width feet very nicely. Sizing would definitely have to be adjusted for those with wider feet. The fabric above the toes slants downwards as it moves towards the outside of the foot, following the natural curvature of the foot. It makes this shoes look very streamlined, and does not restrict in anyway. The shoe also features a very plush tongue. This gives you the advantage of being able to tie the shoe as tightly as needed without irritation. The fabrics used in the upper do leave something to be desired in terms of breathability. When looking at the shoe, it looks like it would be fairly breathable. I found this not to be the case. Overall the comfort this upper provides far outweighs any negative in regards to breathability. The midsole is well cushioned and provides a comfortable ride. The outsoles features three thick bands of rubber that extend horizontally under the forefoot. The midsole/outsole on this shoe is packed with technology as mentioned previously. The mobium band is supposed to mimic the tendons in the foot, the expansion pods found on the outside of the sole are there to provide support for where your foot lands. Finally the windlass chassis is there to allow the shoe to change in length/height along with your foot. When running in this shoe, the midsole feels semi-soft and springy. The shoe does seem to propel you forward while running. One of the things I really like about this shoe is that it allows your foot to move naturally, but still provides adequate cushioning. 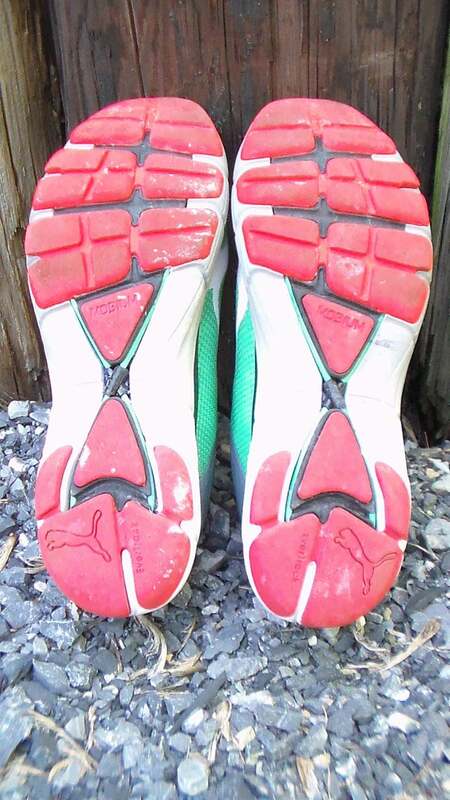 The rubber on the outsole provides great grip and its positioning allows the foot to flex very well. One of the things that stands out is the mobium band. When your foot lands, it Is stretched out, which you don’t notice. It isn’t until you lift your heel that you notice the band tightens and aids your foot into position for the next footfall. The result of this is that your foot always feels like it’s in a good position to strike the ground. I really enjoy running in this shoe. It provides a smooth ride that is truly unique. There is a noticeable difference between running in these shoes and running in a standard running shoe. I wore them on an out of the box 10 miler, and they required no adjustment period whatsoever. I occasionally vary the way my foot hits the ground and I found that this shoe helped me stay consistent in my stride. I would caution choosing this shoe as an entry level runner. I noticed some stability issues on slanted ground. If one foot was higher than the other I could feel some slight instability when striking the ground. 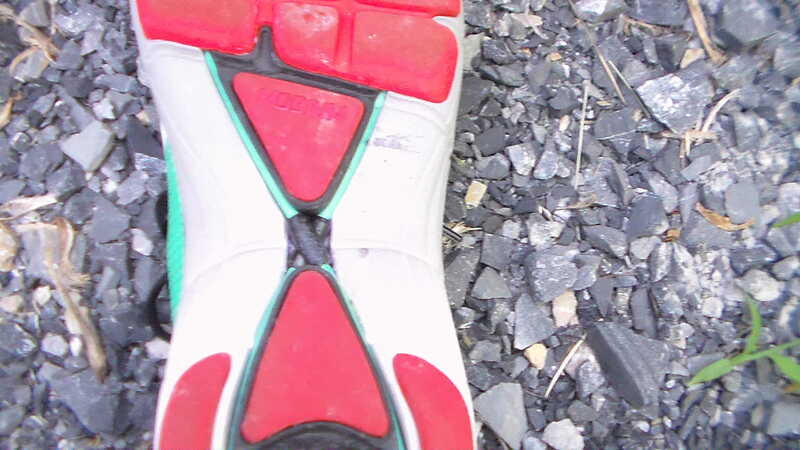 This is something I notice in all running shoes on uneven ground, but it felt exaggerated in the mobium elite speed and the only thing to correct the instability is foot strength. I could see this causing issues for beginners starting out with little foot strength. is this shoe meant for brisk walking or jogging or running on hard surfaces like cement and concrete?i usually brisk walk for 4 kilometers then I run for 1 kilometers on cement and concrete. I have knee and back problem will this shoe suite me?does this shoe have arch support?does this shoe have more cushioning than the skechers ultra shoe?